If I had a euro for every customer who says she has dry skin. And shows that it is dehydrated at a few questions and a skin analyze. I would already be a millionaire. So that’s why I’m in this article once and for always explain what exactly is dry skin content. To understand what dry skin, you should understand that it is a barrier that you are protected from nasty things such as fungi, bacteria, sun, and other hazardous substances. In particular, the horny layer (stratum corneum) is very important in there. This is also the layer that sees all. This layer become continuously renewed or repaired by the cuticle (epidermis), this is done by the creation of new skin cells are created in the base of the epidermis, and being pushed upward again by new cells until they ultimately form beyond the stratum corneum. Together with moisture and sebum, the cells a type of paving that is your skin. In normal skin, the proportions of moisture and skin oils all right. The skin keep it in balance by moisture evaporation and oil production. But with dry skin you have more moisture evaporation than sebum production. 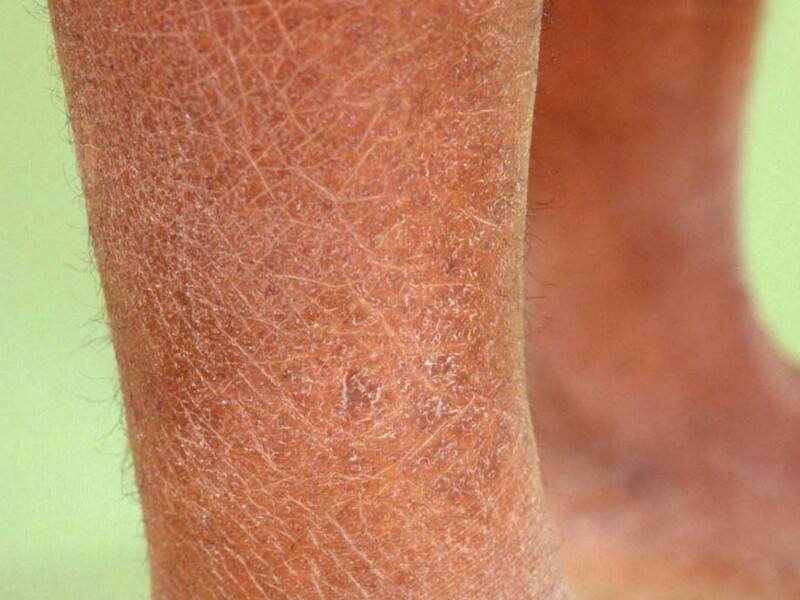 As this disturbance is the stratum corneum will feel rough and dry due to the lack of sebum. Further, it may also have a white haze. It feels more taut and sensitive. This may be locally and overall in your face and your body. The most common sites are your elbows and knees. But let’s for convenience only make your face then it’s usually your cheeks. This disruption in your skin can be caused by improper cleaning, usually with an aggressive cleaning product or misuse of a product. Of course weather conditions especially in winter, the skin drier. But also by smoking, alcohol, UV light, stress and heating / air conditioning. Appropriate skin care will help to solve it but also drink at least 1.5 liters per day because your skin is the last organ that gets hydrated.